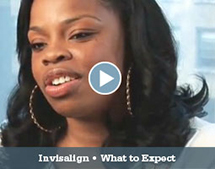 Discuss your case in detail to determine if you're a good candidate for Invisalign. Answer questions you have about the treatment: costs, dental/orthodontic insurance, or any other concerns. Take x-rays, pictures and impressions of your teeth to create a digital 3-D image of them. Map out a precise treatment plan, including the exact movements of your teeth. Show you a virtual representation of how your teeth will move with each stage of treatment. 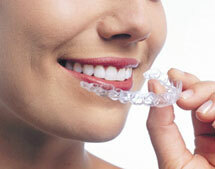 Series of custom-made, clear aligners are then created specifically for you. Aligners are made of a smooth, comfortable BPA-free plastic that won't irritate your cheeks and gums like traditional metal braces often do. 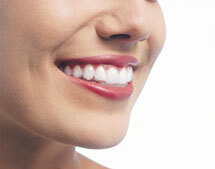 Simply wear them throughout the day, and remove them when you eat or to brush and floss your teeth. As you wear each set of aligners, your teeth gently and gradually begin to shift into place. To monitor your progress, you will also have occasional checkups with us, usually only every six weeks or so. While every case is unique to each patient, treatment typically takes approximately a year for adults. For teens, the length of treatment is comparable to that of braces, but since your teeth won't be covered by wires and brackets, you'll be able to see improvement much sooner. For best results and a timely outcome, wear your aligners for 20 to 22 hours per day, throughout your entire treatment. Family and Implant Dentistry | Sea Bright, NJ Dentist | Monmouth County Dentist, Sea Bright 1480 Ocean Ave.